June 12 was held in Moscow next protest demonstration of opposition. 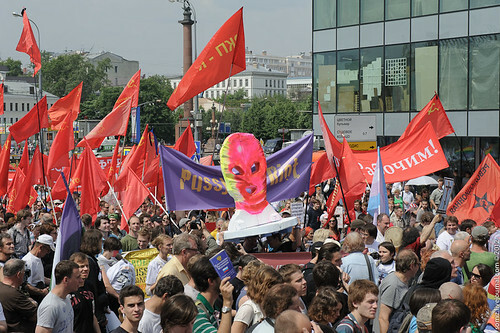 On the march sounded slogans against the government of Putin and his regime. Marsh took place against the backdrop of interrogations the leaders of the opposition movement and the next day after were a large-scale searches.